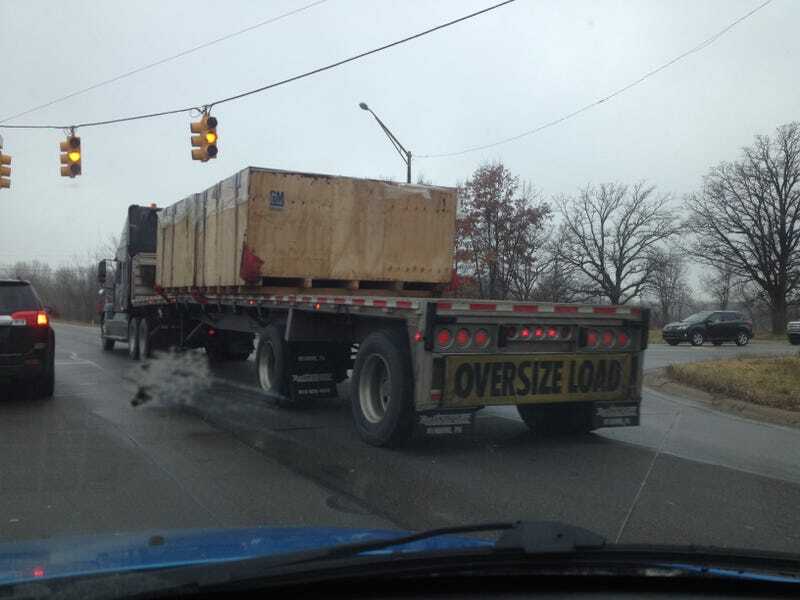 Coming home from church my wife spotted this, a truck with a big box on the trailer, stamped with "GM Brazil". Can't help but wonder what's inside of it. Any thoughts?